Today I am sat in my study, writing (or, to more accurate, ‘writing’). I have banned myself from Twitter, the urgent emails are all answered, the preschool accounts are pretty much finished. There is no reason for me not to focus on what I am meant to be doing. And yet I am flitting between writing the article I am meant to be writing, and writing this blog post. I am bouncing between time spent working on Road School, and time spent staring out of the window. This is not a problem, though; it is perfectly normal. It is the way that I write. When you write, you have to (a) figure out what you are going to write about, (b) figure out what form your writing is going to take, and (c) decide what your ideas actually are and how you can express them in a way that will work for your reader. And (for me at least) this last part is where fuzzy thinking comes in. Fuzzy thinking is what I do when I need to be creative. It’s hard to describe, but it is basically about emptying your mind so that random ideas can bounce around inside it. What I am waiting for is for two thoughts to bump into each other and create something that is more than the sum of their parts. I can’t make this happen by thinking hard; I can only make it happen when I stop trying to think. 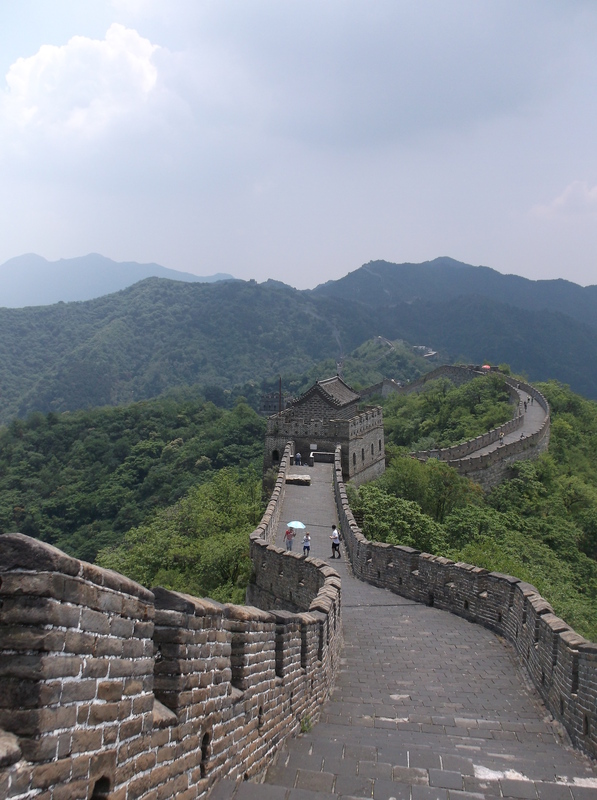 One of the bits of Road School I am writing today is about our trip to The Great Wall of China. I know what I am going to write about, so that is (a) sorted. I know what form the book is taking (comic narrative), so that is (b) decided as well. But in order to make (c) happen I must stare into the distance. I must focus on something else. I must allow my memories of the day to trickle into my consciousness. I must let my emotions and my senses mix around together. I must remember what it felt like to actually be there, and figure out what being there made me think. I must stop looking so hard. And eventually, when the fuzzy thinking performs its magic, BANG! something new will be created. This entry was posted in Creativity, Road School, Thinking, Writing. Bookmark the permalink. OR… Learning: The natural result of awareness?